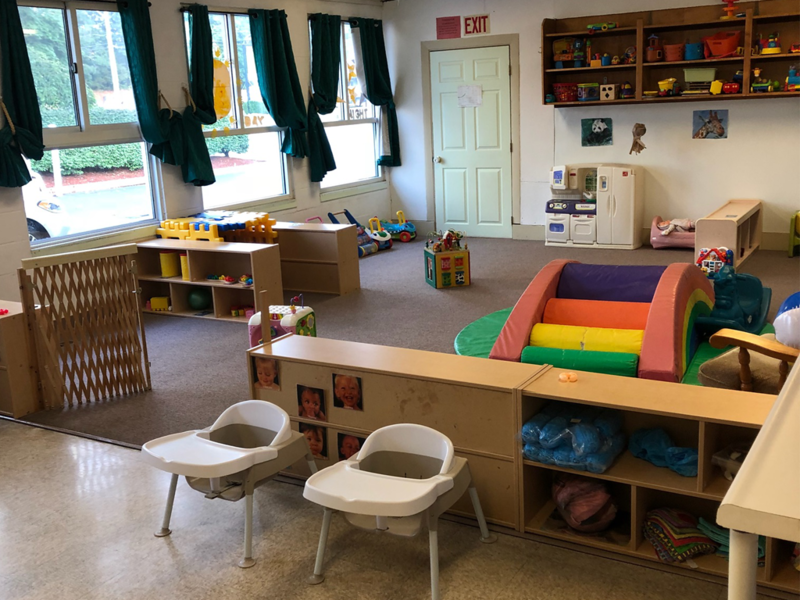 Our infant program is a gentle step from home for you and your child. Two loving and caring teachers provide individualized learning experiences for your child each day in a spacious and natural environment. The information you provide the teachers each morning will allow your child’s daily schedule and care plan to be modified each day to assure the same quality care they would be getting at home. 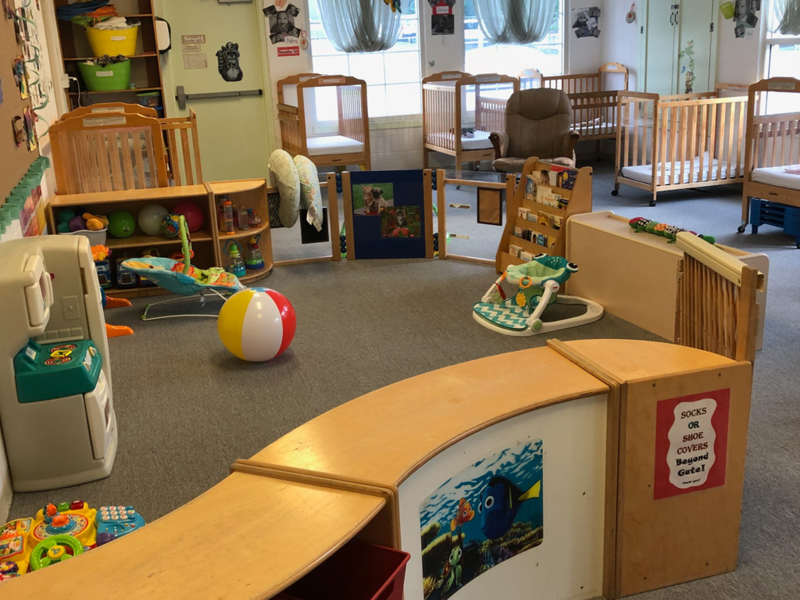 From 6 weeks to 15 months, your infant will experience play through sensory exploration, physical movement, and meaningful social interactions. They will also have daily exposure to outdoor sounds and smells in a spacious, private play area just for them. Through daily verbal and written communications with the infant teachers, you’ll be able to review the highlights of your child’s play experiences.